Connect two PC power supplies to one outlet easily. This "Y" cable provides flexibility and convenience. A standard three prong wall plug on one end splits off to two IEC C13 connectors on the other. Great for connecting pairs of computers, monitors, printers and various other devices. 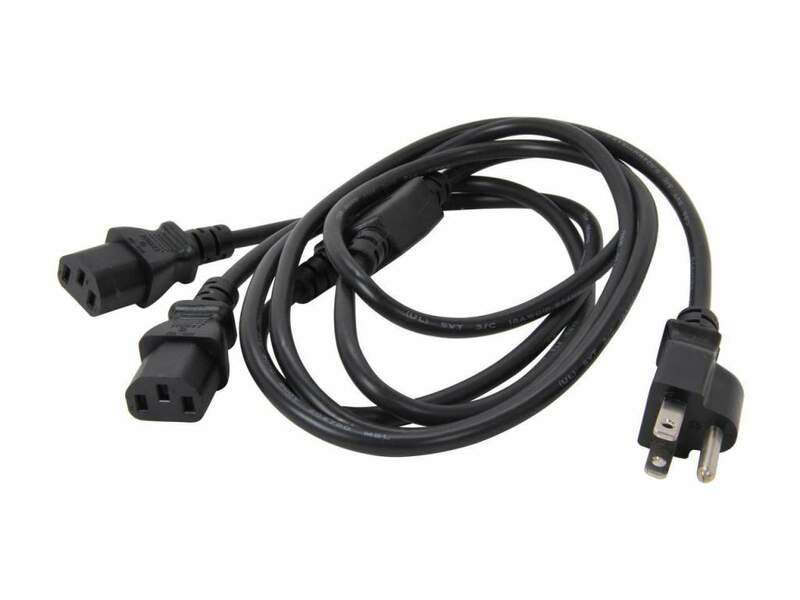 * Single 3-prong grounded male plug to double 3-pin shroud female connection type. * Female end will connect directly with your device and male end will plug into a standard outlet. * Designed for computers, scanners, printers, monitors, and other 3-pin shroud devices. Qty 2 - 1.5 Ft Cables after Split.